I have to say, I thought they were gone. When the deal from hedge fund manager Chris Hansen and Microsoft CEO Steve Ballmer arose in January to move the Sacramento Kings to Seattle, it seemed too incredible a deal for the Maloof brothers and the NBA to pass up. Not only was the Seattle group offering a ton of money, but unlike any other city that had been proposed like Virginia Beach or Anaheim, Seattle really wanted a team. After all, Seattle is a great sports city and the SuperSonics were unfairly taken from the city five years ago. And with the corrupt ownership of the Maloofs, who seemed to have the mentality of “if we can’t have the Kings in Sacramento, no one will,” it seemed as if relocation was inevitable. Last week, the NBA owners voted in favor of keeping the Kings in the Capital City, in a dominant 22-8 fashion. This vote came a little over a week after the relocation committee had unanimously recommended the team stay in Sacramento. As a result, the Maloofs settled on the Sacramento group to take the reins and has signed a deal. The team from the Pacific Northwest is being sold for an NBA record $535 million. Vivek Ranadive, the head of the new ownership, will purchase the 65 percent share currently owned by the Maloofs and their business partner, Robert Hernreich. Nevertheless, the Maloofs are in so much debt, owing approximately $150 million to the city of Sacramento and the NBA, that they will receive about $200 million. One clear advantage Sacramento seemed to have in gaining the relocation committee’s recommendation is the continued support and loyalty for the Kings since it came to Sacramento in 1985. With 19 sellout seasons, the Kings own one of the longest streaks in NBA history. But even more than that, the fans have shown incredible support during the time when the team was vulnerable and the team’s future was unknown. Taking the slogans of “Here We Buy” and “Here we Stay,” Sacramento fans were going to make it difficult to have their team stolen away. On Feb. 9, Kings fans orchestrated a “Here We Buy” night, selling out the arena with more than 16,000 fans to watch the Kings beat the Utah Jazz. For a not so great team to sell out against another mediocre team in Utah, now that’s dedication. And after the game, fans stayed put, rallying and not giving up. Then, during the Board of Governors meeting, Sacramento paid to have a 30-second ad supporting the city’s bid to keep the Kings playing every five minutes in Times Square. Even as the season came to an end, fans didn’t let up. After the final game of the season against the Clippers, fans once again didn’t leave their seats, staying an hour after the game with chants of “Here We Stay” and “Sacramento.” It was all that could be talked about, even in the Clippers broadcast post-game show. Leading the show though for Sacramento has been Mayor Kevin Johnson. And really, he hasn’t been given enough credit for what he’s put together in such a short amount of time. The retired Phoenix Suns guard had to act fast and with efficiency to combat a strong bid from Seattle. And even when it seemed all hope was gone and NBA Commissioner David Stern had announced Sacramento’s offer was nothing close to that of Seattle’s, Johnson continued to work around the clock. He’s been part of putting together the arena deal and of course was monumental in pitching everything to the committee. If there’s one guy who Sacramento owes a few extra thank you’s to, it is without a doubt Johnson. The deal is arguably the best possible scenario for the Kings. They get rid of the horrible owners, get fresh faces, a new start and remain in a city that loves them. The people that were once loved by the city and known for attending every Kings game have been MIA for a while now. They are clearly broke, which should’ve been obvious the second they could no longer afford the cheaper WNBA Sacramento Monarchs. At that time, they also began their lying, which has continued up until the team was sold. When the team was unanimously recommended to stay in California’s capital city, the Maloofs threatened to keep the Kings unless relocation was approved and they could sell to the Hansen and Ballmer group, only to announce how pleased they were to sell to the Sacramento group after relocation was denied. In addition, Ranadive becomes the first Indian-born owner in the NBA’s history. He already has ownership experience as part of the group that bought the Golden State Warriors and as a result was involved in building their arena. With Ranadive’s background, the Kings could also open up a new way of marketing the NBA globally, as the NBA is looking into reaching India. While the Maloofs certainly needed to go, the next person to be dismissed will probably be general manager Geoff Petrie. His contract is up and, to be honest, he should’ve been given the boot years ago. The only problem was that the Maloofs were too blind to see it. For years, Petrie has slacked doing his job, giving away all the players from the glory days and getting nothing in return. Sacramento fans, you can thank Petrie for the fact that your team has been battling to stay out of the cellar in the Western Conference. He may have been brilliant at one time, bringing in Chris Webber and Bibby and the great Kings we all know, but ever since, he’s been almost worthless. Although Head Coach Keith Smart still has one year left on his contract, he is also likely to be dismissed, leaving a fresh start for the Kings, which is exactly what it needs. Finally, there is hope to returning to the glory days. The team is not only very young, but well under the salary gap and therefore will have plenty of money to bring in some talent. Finally, the last thing the Kings will get with the deal is a brand new arena. Arco Arena (for true fans it will never be anything else) is a loved building in Sacramento, but seeing some of the newer arenas around the NBA, it really is in bad shape. The Kings’ future includes a $447 million downtown arena that will be built at the western gateway to the city near the Sacramento River. Seattle does absolutely deserve a team. There’s no arguing that. Those fans were also very loyal to their team and had it taken away, but they just can’t have ours. The best option would be expansion. Throughout the battle for the Kings, Stern was adamant that there would be no expansion, but it is a logical idea. Seattle would get its team and there are plenty of other viable cities that could be picked from to round out the NBA to a total of 32 teams. That would mean two conferences of 16 teams and four divisions of four teams. Half the teams make the playoffs, half don’t. It all makes sense. Of course, now that the deal is done, Stern has praised Seattle’s proposal and is saying that the league might consider expansion if a new TV deal could be made. Stern covered his back keeping another team from relocating under his reign. To expand would be another possible positive action he could take before retiring next year. Besides, if the Kings had relocated, they would’ve become the SuperSonics and the entire history of Sacramento would disappear. So live on the great memories in Sacramento — the cowbells being so loud that opposing teams hated playing in Sacramento and the great rivalry between the Kings and Lakers. Live on the legacies of the great players that have played there — Mitch Richmond, Mike Bibby, Peja Stojakovic, Bobby Jackson, Doug Christie, Chris Webber and Vlade Divac. And live on the idea that the Sacramento Kings could one day win a NBA championship. For people like me and all the people in Sacramento, this is our team and they are finally here to stay. 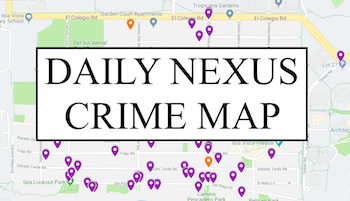 A version of this article appeared on page 6 of My 20th’s print edition of the Daily Nexus. 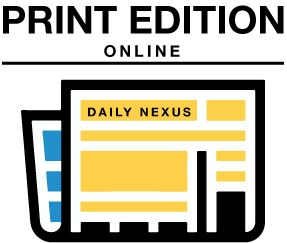 Photo by Mingchen Shen of the Daily Nexus. If I had a cowbell I would ring it.